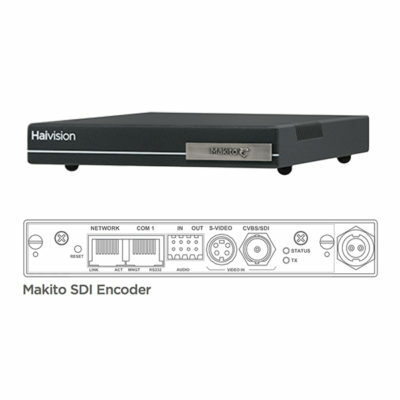 The Makito™ decoder delivers HD digital video to 3G-SDI and HDMI interfaces, supporting all HD standards up to 1080p60. The HDMI output also supports the decoding and display of computer resolution sources encoded by the Makito encoder. The Makito™ decoder delivers HD digital video to 3G-SDI and HDMI interfaces, supporting all HD standards up to 1080p60. The HDMI output also supports the decoding and display of computer resolution sources encoded by the Makito encoder. 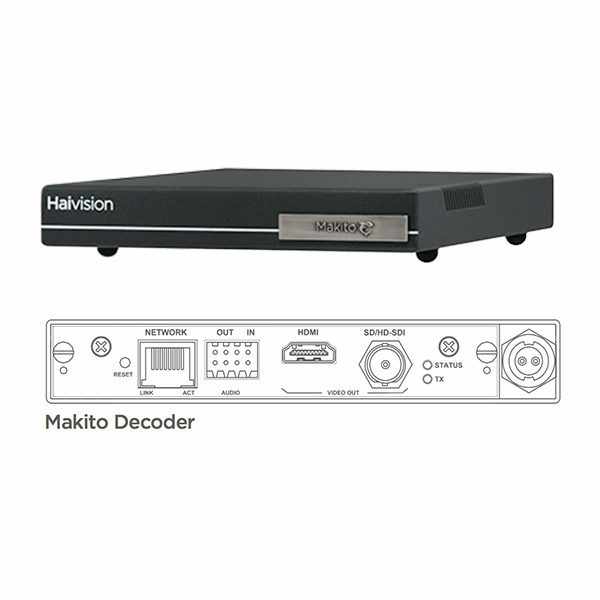 The Makito decoder is a unique match for the Makito encoder, yielding H.264 1080p60 with extremely low end-to-end latency.